HARTING, represented by Adilam Electronics , has released a series of water resistant, IP 67 rated D-Sub connectors. 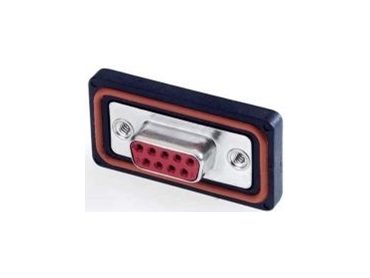 The connectors are intended for harsh indoor and outdoor environments. They are resistant to moisture and dust. Typical applications are industrial machinery, process control, mobile equipment, and instrumentation. Connectors and hoods are available for PCB applications and with or without rear frames for water resistant panel mounting purposes. Most versions are available from nine to 50 poles.